Get to know some of Norway’s most popular natural and cultural attractions. Ålesund’s beautiful Art Noveau architecture is well-known. A multitude of towers, spires and beautiful ornamentation makes the town look like it has been lifted straight out of your imagination. Sunnmøre’s numerous fjords, islands and mountains are waiting to impress you. The extent of experiences on offer affords you the freedom to choose exactly the holiday you prefer – all year round. Seize the day, adventure awaits! INSPIRATION AND FACTS The official travel guide for Ålesund & Sunnmøre will give you the inspiration to wish you were here, and the information you need to make your wish come true. Are you interested in hiking, fishing, kayaking, bird watching, skiing or cultural events? Use the guide to select the experiences that appeal to you! The website www.visitalesund.com and the online booking system are always up to date and will guide you to the various experiences. WE ARE HERE TO HELP The Tourist Information Office in Ålesund, G2, are happy to give you travel advice and can also help you with booking of accommodation and activities. A wide selection of free tourist brochures are available, as well as an assortment of postcards and stamps for sale. Internet access. + 47 70 16 34 30, info@visitalesund.com 01.01.-30.04. and 01.10.-31.12. Mon-Fri 9-16. 02.05.-31.05. and 01.09.-31.09. Mon-Fri 8.30-16. 01.06.-31.08. Mon-Fri 8.30-18 Sat-Sun 9-16. Local tourist information offices in the region: Ulsteinvik, Ulstein Arena T11, +47 70 01 75 10 turistinformasjonen@ulstein.kommune.no 01.01.-31.12. Mon-Fri 8-21, Sat/Sun 11-18. Ørsta, T12, +47 70 06 85 18, info@orstainfo.no 01.01.-19.06. and 21.08.-31.12. Mon-Fri 9-16. 20.06.-20.08. Mon-Fri 9-16, Sat 10-15. Stordal, X11, +47 47 48 24 24 post@visitstordal.no 01.01.-31.12. Mon-Fri 10-15. Fosnavåg, R 11, +47 70 08 13 11 postmottak@heroy.kommune.no 01.01.-31.12. Mon-Fri 9-16 . Geiranger, Y13, +47 70 26 30 99 tourist@geiranger.no 01.11.-30.04. Mon-Fri 10-15, 01.05.-31.09. Mon-Sun 9-1.6 ASSISTANCE & ADVICE Ålesund & Sunnmøre is an attractive region for tourists, meetings, conferences and incentives. We are happy to give free, non-binding advice and assistance to organisers, +47 70 16 34 30, meet@visitalesund.com and tour operators, + 47 70 16 34 30, info@visitalesund.com. Free online image bank at www.visitalesund.com/fotoservice. Destination Ålesund & Sunnmøre promotes the region as a travel destination in Norway and abroad. Among our members we count approx. 180 travel enterprises in addition to the municipalities of Ålesund, Giske, Norddal, Haram, Hareid, Herøy, Sande, Sandøy, Skodje, Stordal, Sula, Stranda, Sykkylven, Ulstein, Vanylven, Ørskog and Ørsta. The guide is published, in cooperation with NCE Tourism - Fjord Norway, for free distribution in Norway and abroad. Express boat to Langevåg, 10 min. (Devoldfabrikken). Fjordcruise Hjørundfjord. ecclesiastical art and old traditions – there is something for everyone here. Ålesund is not classified as a city in Norwegian terms, but those who are hungry for experiences will quickly realise that there is a lot on offer here – from music festivals and theatres to the town fire walk and a culinary food festival. There are stadium concerts, intimate clubs and several festivals, such as the Jugendfest and Sommer­festen. The wider Sunnmøre region is also home to many reputable concert halls with a wide range of musical experiences on the pro­gramme. If you visit the countryside, you will also be surprised by the many historical plays in which local and professional actors create magical moments together with the natural wonders of Sunnmøre as the perfect backdrop. Your perfect cultural experience is waiting for you – you just have to choose! Ålesund is Norway’s largest export port for klipfish (salted and dried cod). KLIPPFISKAKADEMIET, H7, +47 70 15 50 00, www.klippfiskakademiet.no, provide opportunities to learn more about our culinary traditions. Perhaps you will find the best klipfish meal in an Ålesund restaurant? XL DINER, G2, + 47 70 12 42 53, www.xldiner.no, BRO, F5, +47 70 30 81 81, www.brobro.no, ANNO, E5, +47 71 70 70 77, www.anno.no, APOTEKERGATA NO. 5, E4, +47 70 11 45 00, www.apotekergata5.no, SJØBUA, F4, +47 70 12 71 00, www.sjoebua.no, KAMI SKOTHOLMEN, R11, +47 48 03 83 88, www.skotholmen.no. through their training, practice and study tours. The reconstruction gave the town a unique archi­tectural expression and a distinctive local vari­ ation of Art Nouveau within a concentrated area. The town reflects the different aspects of the building style in a lively and diverse way. Lift your gaze while you explore the town and you will discover the many and varied expressions of Art Nouveau. You will find elements of German Art Nouveau/jugendstil with elegant organic lines and asymmetry, hewn stone buildings inspired by American architecture and National Romantic details from the architecture of the stave churches. INDUSTRIOUS AND ALMOST CULTIVATED More than two thirds of the world’s production of klipfish is loaded on board ships that sail from Norway’s fishing capital Ålesund. Nowadays the region is also a world leader in ship design and advanced maritime technology. The enterprising people of Sunnmøre have deep roots in the Viking traditions. Just like their predecessors they are exceptional craftsmen and outstanding businessmen, even if plunder has been put aside. It is not surprising that Ålesund - The Art Nouveau Town is the host for the InnoTown Innovation Confe­ rence, which draws together innovators and business leaders from all over the world, see p. 21. ISLAND TREASURES Runde has some of the largest bird cliffs in the country, but did you know that the island is also known as the site of Norway’s biggest find of ancient coins? The Runde treasure is the valuable cargo that the Dutch cargo ship “Akerendam” had on board on her maiden voyage in 1725, when she strayed off course and was shipwrecked off Runde one stormy night on 8 March that year. The treasure was discovered in 1972 by three sports divers, who found more than 57,000 coins. Explore an exciting selection of artefacts and coins on display in an exhibition at Runde Miljøsenter, see p. 14 and 46. CULTURAL EXPERIENCES FOR ALL TASTES An abundant choice of cultural attractions gives you a good insight into the region’s historical narrative and its cultural history and prominent personages. Take some time, replenish your knowledge and be inspired to stay here for a few days! Situated in Ålesund harbour in Holmbua, a beautifully restored warehouse from 1861, and depicting the history of Ålesund as a fishing port. Learn about almost extinct trades such as coopering. Worth noting: Buy a joint ticket for Aalesunds Museum and the Fisheries Museum and get 20% discount. 02.01.-31.03. Tir/Tue/Di - Fre/Fri/Fr 10-15. 01.04.-15.12. Søn/Sun/So 12-16. 02.05.30.09. Mån/Mon/Mo - Fre/Fri/Fr 10-16. Lør/Sat/Sa - Søn/Sun/So 12-16. 01.10.15.12. Mån/Mon/Mo - Fre/Fri/Fr 10-16. Experience 150 years of Devold history, develop­ment and production, and get a closer look at the famous brands originally designed for sailors. Worth noting: Cafe, glass blowing studio, blacksmith, gallery, outlet shops and event location. Boat between Ålesund and Langevåg. Guided tours on request. Free entrance. 01.10.-01.05. Tys/Tue/Di - Fre/Fri/Fr 10-15. Søn/Sun/So 12-16. 01.05.-01.10. Man/Mon/Mo - Fre/Fri/Fr 10-16. Søn/Sun/So 12-16. 01.07.-01.08. Laur/Sat/Sa 12-16. Klippfiskakademiet is an innovative teaching and dining concept in Ålesund, and it focuses on the dissemination of the region’s distinctive ingredients from land and sea. Klippfisk­ akademiet offers culinary experiences to various social and academic events where cooking is a key element of the program. Open-air museum with cultural history exhibitions and a vast collection of old buildings and boats, beautifully situated in the old Borgund­kaupangen. The Medieval Age Museum on the site is also worth visiting. Worth noting: Activity days from 26.06.-14.08. Café & souvenir shop. 01.05.-30.09. Man/Mon/Mo - Søn/ Sun/So 10-17. Tor/Thu/Do 10-20. 01.10.-30.04.Tys/Tue/Di - Søn/Sun/So 11-16. Tor/Thu/Do 11-20. Exhibitions on the impact of the war on the area, local fisheries and local archaeology. Oppigardstova from the 1800s contains an exhibition about local pilotage. Worth noting: Groups on request, get in touch! Children (0-16) free. Also open by arrengment. A former trading community and parsonage as it was in the 1800s, with buildings, interiors, fishing equipment and traditional boats. Also traces of a medieval church and burial site. The area has one of the world’s largest deposits of the mineral Olivine and can present an interesting mining history. The pure gemstone in Olivine is called Peridot. The new information centre has interesting exhibitions, and offers guided tours on request. Looking for you own jewel? Follow the signs to “Peridotplassen”. Worth noting: Free entrance. 08.06.-18.08. Mån/Mon/Mo - Søn/Sun/So 11-17. Open visitor farm and unique alpaca farm, with café serving homemade food and an art gallery in a converted barn. Farm shop sells garments made from alpaca wool, and other items from ethnic suppliers. Worth noting: Groups requested to book in advance. Children 0-2 years free. The exhibition focuses on the environment, climate, the nature on the island and local history. There is a dedicated exhibition about the wrecked Dutch ship "Akerendam" from 1725. Café where you can enjoy sandwiches, coffee and cakes. Hot lunch and dinner menus from 1 pm to 4 pm. Group reservations all year. 01.06.-31.08. Mån/Mon/Mo - Søn/Sun/So 11-17. 14.04.-31.05. / 01.09.-22.10. Mån/Mon/Mo - Søn/Sun/So 12-16. 04.07.-04.08. Tor/Thu/Do, Laur/Sat/Sa, Søn/Sun/So 12-17. Authentic farmstead from the early 1800s with original cookhouse, food store and forge. Relax in idyllic surroundings. The farm is located about 5 km from Ørsta in the direction of Sæbø. The price includes a guided tour. The farm where the famous Norwegian linguist Ivar Aasen was born and raised, includes the Ivar Aasen Centre. The museum, is also a national document and study centre for Norwegian Nynorsk. Worth noting: Guided tours every hour during the summer. A modern resource center for hydropower and avalanches. The power and avalanche center is based in Tafjord, a small village by the fjord. There are fascinating activities and experiences for both adults and children and the possibilities of starting your own avalanche. 01.06.-15.08. Mån/Mon/Mo - Fre/Fri/Fr 10-17. Laur/Sat/Sa - Søn/Sun/So 12-17. 16.08.-31.05. Mån/Mon/Mo - Fre/Fri/ Fr 10-16. Søn/Sun/So 12-17. The only nature museum in the county has reopened after a remodelling and a move. The exhibition Mosaikk (Mosaics) gives you a tour through time and landscape. From the edge of the icecap, through the woods and all the way to the top of the mountains. More than 250 birds and mammals are on display. Also open on request. Joint ticket with the Furniture Museum. On the south side of the island of Sandsøy lies the Dollsteinhola cave. This is one of the biggest and strangest caves in Norway. It is 180 metres long and has five chambers joined by a long and narrow passageway. Good clothing and equipment are required. Guided tours on request. The beautiful bridges at Skodje are technical and architectural master pieces from the early 1900s. When the bridges were completed in 1919 it was the largest of its type in the whole of Scandinavia. They are protected by law and are only available by foot, or by bicycle. Also accessible by wheelchair. Peer Gynt is one of the most widely performed Norwegian plays. It was written by the European dramatist Henrik Ibsen. This play has been transformed into beautiful hand carved reliefs by the artist Oddvin Parr, and they can be observed in the gallery at Hellesylt. Worth noting: guided tours, café. The remarkable Giske Church is situated on the saga island of Giske. The 12th century church is the only one in Norway built in marble and was built as a private chapel for the powerful noble family Giske, known as “Arnungane”. Worth noting: The price includes guided tours. From 1909, beautifully decorated with stained glass windows and frescoes. The stained glass gable windows be­hind the organ were a gift from the German Kaiser Wilhelm II. Lies in the city centre. Geiranger Church is an octagonal church built in 1842. It is built in wood and has a total of 114 seats. The church is located just above the center of Geiranger and has a great view of the fjord. Geiranger Church is a romantic church which is commonly used for weddings. 01.06.-01.09. Mån/Mon/Mo - Søn/Sun/So 10-18. Sales of interesting art works by local and international artists, with the main focus on modern art, as well as fine antiques. Learn about the Vikings that lived here. During your Viking adventure, you will go back in time, board a real Dragon ship, taste food from the Viking era, hear the saga of legendary Viking Rollo and learn about everyday life, religion and laws of these mighty Norse men. Note: By foot, also suitable for children. ON REQUEST Open on request 18.05.-10.09. Duration 90 minutes. Local artists represented with products specially made for the shop. Large selection of art, ceramics and glassware. TRANKOKERIET ANTIKK All year Mån/Mon/Mo - Fre/Fri/Fr 10-17. Tor/Thu/Do 10-19. Laur/Sat/Sa 10-15. Old sea house from 1895 with antiques, second hand items, gallery and espresso bar. The shop stretches over two floors and about 350 square meters and is located in the art district around Moloveien. Exciting changing exhibitions and a permanent exhibition featuring around 100 water colours by the famous artist Ørnulf Opdahl. CELSIUS GLASS STUDIO Glassblower Cornelia Skuggen at Devoldfabrikken. i +47 48 23 11 10 Tir/Tue/Di - Fre/Fri/Fr 10-16 Tor/Thu/Do 10-18. Laur/Sat/Sa 10-15. CULTURE AND FESTIVALS A great selection of museum and festivals in region invites to a meeting between the past and the future among those who live here and those who come to visit. Even though Aalesund is not a big city in Norwegian context, the person looking for adventures will still experience that both Ålesund and Sunnmøre has a lot to offer. There is a great variation with everything from music festivals, theater, and hiking, to city walks and culinary food festival to mention a few. MUSEUM AND HISTORICAL PLAYS Ålesund and Sunnmøre is a region with a great history and a lot of important happenings throughout the time. The many museums around provide good and informative exhibitions which gives an interesting presentation on the different historical happings. The variations in museums is great; furniture, art, nature, arctic, architecht­ure and fish to mention some. Finding something for both adults and children should be easy. The tourist information is open to provide the proper information. FESTIVALS Sunnmøre is a great place for festivals. Unbelievable many would say, and it is fantastic the great variation which is here. One day Highasakite plays, another day it is Bryan Adams. Although the great stars are here it is also plenty of opportunities for the up and coming stars. JOIN IN THE FOOTBALL FUN! WORLD-CLASS NATURE Not many places are blessed with such beautiful, untouched nature. Geirangerfjord features on the prestigious UNESCO World Heritage List. Hjørundfjord is just as stunning, but an undiscovered treasure for many. By the ocean, you will find the Art Nouveau town Ålesund, which has won the title of Norway's most beautiful town. This combination is unique! If you have seen photos of picturesque fjords and majestic mountains, chances are they were taken in Sunnmøre. You will not find more beautiful fjords anywhere else in the world! Be amazed by Geirangerfjord, a place you simply cannot miss. Hjørundfjord is just as impressive, but not as full of tourists. THE ROYAL FJORD ROUTE Generations of royalty and nobility from Europe have visited Sunnmøre and been fascinated by the region's dramatic mountains and fjords. Hjørundfjord, Norangsdal and Geirangerfjord all have historical hotels that date back to the late 1800s. Experiences you are unlikely to forget are waiting for you, and they are all easily accessible by foot, boat, bus or train. Throughout the year, there is a great selection of trips for visitors, and a local guide can accompany you on many of them. If you like, you can experience town and country, mountains and fjords in just one day. Join a guided town walk and learn more about Ålesund’s fascinating history and architecture. Lift your eyes and discover the many beautiful and detailed ornaments on the building façades. Once you have noticed all the details, it is time to get the big picture. Step on board the little town train, which will take you to the top of the town mountain Aksla, where an astounding panoramic view of the town, mountains and ocean awaits. From the many windows on buses, boats and f erries, you can enjoy splendid views of magnifi­cent waterfalls, sheer mountainsides, snowcovered peaks and thriving villages by the fjords. A coastal cruise is the perfect way to experience scenic lighthouses, charming towns and quaint island communities. Enjoy the bracing sea air, marvel at the stillness and take a welldeserved break from everyday life. You will not regret it! SIGHTSEEING AND ROUND TRIPS Enjoy the sceneries from the deck of a boat, a luxury coach or the comfort of a city train, and let local guides take you through the streets of Ålesund. Few places can offer so many opportunities to experience coast, fjords, mountains and town all in one day. Sightseeing in Ålesund, “hop-on hop-off”, to the largest attractions in Ålesund. On this tour you will visit Sunnmøre Museum, Fjellstua (viewpoint), Ålesund Church, Atlanterhavsparken and city centre. Hop off where you want, and continue when you want. Worth noting: Only on days with cruise ship arrivals. Roundtrip 1h 20 min. Join in on a fjord cruise and experience one of the most beautiful and popular fjord areas in Norway, the Hjørundfjord. The tour goes from Ålesund to Øye. It is also possible to stop at Trandal and Urke. For stop at Trandal or Urke, report to crew when boarding. Experience the National Tourist Routes in Norway. The round trip with bus starts in Ålesund and head for the UNESCO listed Geiranger, passing the famous Ørnesvingen. After an hour stop in Geiranger the bus leaves for Valldal and the spectacular Trollstigen and Åndalsnes. From Åndalsnes the trip continues along the fjord to Ålesund. Round trip with public transport. Visit the UNESCO listed Geirangerfjord and enjoy the views of the Sunnmøre Alps! Depart Ålesund by public bus via Sykkylven to Stranda. The trip continues to Hellesylt, and with a beautiful ferry fjord cruise on the Geirangerfjord. Return from Geiranger by bus via the Eidsdal-Linge ferry. Round trip with public transport. Note: Extra departure at 11.00 in the period from June 24 to August 18. This round trip starts from Ålesund and goes via Sykkylven to Stranda. The tour continues with the ferry crossing Storfjord to Liabygda. From Liabygda the return goes back via Stordal and Sjøholt back to Ålesund. Round trip with public transport. The Atlantic Road is one of the most spectac­ular driving routes in Norway. This roundtrip will take you from Ålesund via Molde to through the fisherman village of Bud and out on the scenic route located by the coast. The area is a popular spot for car commercials and a fantastic visit in all kind of weather. Round trip with public transport. For some of the very best and most dramatic fjord scenery – don’t miss your chance to experience the UNESCO Geirangerfjord with our new boat in cutting edge Norwegian design and technology. We have a personal audio guide system in 12 different languages that gives you the customized fjord experience! Cycling made easy and fun! Cycle like a Viking with a smile. Would you like to bicycle around Geiranger in comfort? Best quality European Bikes Geiranger provides the perfect backdrop for some of the most outstanding biking to be had in Norway. Fun and with great photo opportunities! Bring your family into the Norwegian fairytale world! A combination of soft hiking among Norwegian fairytale creatures is exciting both for adults and children. With a private boat, you will experience the life of seabirds and marine life in the area. Recommended in combination with accommodation at Brattvåg Fjordhotel. Taste the fresh water from melting glaciers in the Geirangerfjord! The RIB has a two person crew, and our local guides will share the history of the mountain farms, waterfalls and people who lived there. Worth noting: Max 12pers. Duration about 60 minutes. Join Hurtigruten for a cruise to the Geirangerfjord in summer or to Hjørundfjord and Urke in the fall. Majestic mountains and scenic views of the Norwegian fjords. The tour may be done as a round trip or just one way with a stay over night or to travel further on. 870,- 435,- 435,Hjørundfjorden: 02.09.-01.11. Mån/Mon/Mo-Søn/Sun/So 09.30-17.15. This beautiful journey from Ålesund to Geiranger is around 120 km passing through three distinctive Fjords and spectacular landscapes. Enjoy the three-hour cruise with a cup of coffee and light refreshments while traveling from the ocean to the fjord. One-way tickets available. Like an eagle over Sunnmøre! A spectacular virtual journey through history of the city. A magical flight over Sunnmøre with the spectacular mountains, waterfalls, deep fjords and a scenic coast in summer and winter. An introduction to the history of the region and the people living here. A roundtrip taking you to the little island community of Ona. You will go by boat from Ålesund to Harøya, where the bus takes you to Finnøya befor you take a ferry the last part over to Ona. The ferry stops at Sandøya before it continues to Ona. This is a great trip to enjoy the coastline and the silence! The ferry cruise on the world’s most famous fjord takes approx. one hour between Hellesylt & Geiranger. The tour is guided in several languages and there are refreshments available on board. The ferry "Veøy" has an elevator, and is accessible for disabled persons. Photo Walks of Ålesund is a new way to experience the sights of Ålesund. It is more than just a walking tour, it will allow you to see the best views of this beautiful town, show you how to use your camera creatively and ensure that you have some classic photographs to bring back home. Bring any camera you want! HIKING “You will never see another such view”, said the well-known British mountaineer William Slingsby about the panoramic vistas at Slogen. The Sunnmøre Alps rise up from the fjords and have captured the imaginations of visitors to the region for several hundred years. A growing number of people are now also discovering the easy hikes in the coastal mountains, with their heathland, seabirds and huge expanse of sea and sky. Explore peaks and valleys in the Sunnmøre Alps, enjoy the lush and family-friendly coastal region, or marvel at the panoramic view from Ålesund’s town mountain Aksla. The Sunnmøre Alps are known for mighty summits with dizzying views straight down into the fjords, but you can also stroll along pastures in the valleys and look up at the impressive peaks and crags. Out towards the horizon, there are lower and smoother mountains, where you can taste the salty air and hear the song of the ocean. Long pebble beaches and sandy beaches allow you to get close to the sea and explore animal life by the shore. Sunnmøre’s nature spans from summits to seaweed. Tafjordfjella is the biggest hiking area in Sunnmøre, with varied nature and the trips at different levels. This is also where you find Puttegga, the highest peak in Møre & Romsdal county. Here you will definitely find trips suitable for everyone! Long summer days, bracing autumn storms, bright, crisp winters and magical spring seasons – you will find it all here. Sunnmøre offers mountains and nature walks for every season and hiking ability. If you prefer demanding terrain, or would like to learn more about our nature and culture, you can join a guided hike. Local guides and summit guides who know and love the area would be more than happy to share their knowledge with you. Most trips must be booked in advance. The beautiful nature in the coastal mountains and alpine region can be enjoyed the whole year through. There are many mountains and many possibilities! There are 300 kilometres of signposted paths in the Sunnmøre mountains – and several thousand kilometres of nonsignposted paths. Sunnmøre will whet your appetite, and many visitors are not satisfied with day trips. If this is the case, you can extend your mountain adventure by seeking shelter in the cabins belonging to The Norwegian Trekking Association (DNT), hire a fisherman’s shack, cabin or spend the night at a hotel. No matter what kind of hiking holiday you have opted for, you will learn more about nature, about those you are hiking with, and about yourself. LIVE WELL BY THE MOUNTAINS When your bed is in the middle of spectacular nature, unique hiking experiences are just a stone’s throw away. Try a practical and comfortable stay in a bunk bed in a family cabin, or opt for luxurious relaxation in a four-poster bed at a hotel. Bring a map and explore on your own, or join a guide on a hike. No matter what you do, Sunnmøre is an adventure. HJØRUNDFJORD AND THE SUNNMØRE ALPS The Sunnmøre Alps are a magnet for naturelovers. Sharp peaks reach up from the fjord to heights of nearly 1,700 metres above sea level. Even in summer, the craggy mountaintops are covered by snow, and there numerous glaciers as well. plore them on foot throughout most of the year. In this region, you can go mountain hiking one day, fishing by boat the next, and enjoy bird­ watching with binoculars on day three. You can visit the animals at a petting farm, and experience the flashing lights from picturesque lighthouses. Hjørundfjord is a great base for a hiking holiday, and there are plenty of characteristic hotels and quality cabins to choose from. The fjord is surrounded by peaks like Slogen and Skårasalen, which are both more than 1,500 metres above sea level. The sherpa-built stone stairs at Saksa, at more than 1,000 metres above sea level, and the newly signposted circular walk across Urkeegga, have opened these mountains up to new hikers. ÅLESUND There are very few places in the world where you can find hiking experiences right in the middle of town. The well-known lookout point Fjellstua and the town mountain Aksla gives you a panoramic view of Ålesund, the Sunnmøre Alps, the fjord and the ocean that you are not likely to forget. Combine easy, family-friendly trips with visits to cafés and restaurants, museums and the aquarium. Molladalen is a family-friendly alternative, with a mountain lake and a campsite surrounded by dizzying peaks that provide challenges for boulderers and climbers alike. THE TAFJORD MOUNTAINS The largest hiking region in Sunnmøre is known as the Tafjord mountains. Here you will find varied nature, including both steep and gentle hillsides as well as open country. The area is full of great mountain peaks, including the tallest mountain in Møre og Romsdal, Puttegga, which towers 1,999 metres above sea level. The Tafjord mountains blend into the majestic and wild Romsdal Alps to the north, and Renn­ heimen National Park to the east. You can cross the mountain region or opt for circular walks in the Tafjord mountains. This area is popular both summer and winter. There is a map on page 2, and more information about accommodation from page 74. HIKING WITH A GUIDE Let qualified guides take you with them on adventures in the mountains. And learn more about the landscape that surrounds you. A guide can also take you on more demanding activities such as climbing or glacier hiking, and bring you even closer to nature. Hike off the beat tracks. At our doorsteps, you`ll find the forgotten UNESCO fjord Tafjord and Reinheimen National park. At our guided hikes you will experience wild nature, spectacular fjords, great mountains. Local history, culture and high quality local food is an important part of all our guided tours. In the village of Øye you will find Hotel Union Øye. Surrounded by the majestic Sunnmøre Alps, this is among the foremost destinations in the world for those seeking outdoor adventures. Nowhere else will you find such majestic mountains rise up from beautiful narrow fjords. Explore the mountains and fjords in magnificent surroundings. Action-packed panorama trip in the Sunnmøre Alps, crossing glaciers and exploring summits. Accommodation in tents, cabins, hotels or a boat. The route will be decided on the way. The trip is led by mountain guides (IVBV/UIAGM /IFMGA) from Norgesguidene AS. Worth noting: Price 4-6 pers. Located on Godøya, an island outside Ålesund, Storhornet offers a beautiful hike combining maritime and alpine feelings. After a superb hike, you’ll get rewarded with a stunning 360° panorama over the Atlantic ocean, Ålesund & the Sunnmøre Alps. This hike takes about 5 hours in total. with a hook and bait in freshwater is a great way to entertain them. A kayak brings you really close to nature. Whether you like to paddle the ocean, explore islands and skerries, or contemplate the still fjords beneath towering mountains, you will find the perfect experience for you. Did you know that you can also go paddling in the middle of Ålesund’s Art Nouveau architecture? Sunnmøre is also great for cyclists. Young families can enjoy the flat terrains of the islands out in the ocean while taking in the bracing coastal air. More experienced cyclists can explore steep mountain paths that offer amazing views of the fjords. Get the adrenalin pumping with an action-filled sea safari, river rafting or surfing session, or try going beneath the surface. This landscape offers up a wealth of activities, and you will be surprised by how much there is to do when you are holidaying in Sunnmøre! ARE YOU LOOKING FOR TIPS/ADVICE FROM QUALIFIED PEOPLE? At Ålesund – Sunnmøre Turistforening (Tourist Association/DNT) you can get detailed routes and buy hiking maps and guide books. Kongensgt. 17, H2, call +47 70 12 58 04 or go to www.turistforeningen.no/alesund or the tour planner www.ut.no. Courses in climbing, orienteering and glacier hiking: +47 40 55 46 70, www.norgesguidene.no. Guided tours and courses +47 40 55 46 70, www.uteguiden.com. Guided tours and activities, www.valldal.no or +47 90 01 40 35, www.offbeatadventures.no, or +47 99 57 14 05. Guided activities, summer and winter, www-norway-adventures.com or +47 57 62 41 70. FISHING LUCK Sunnmøre is a paradise for fishing enthusiasts. Try your luck in the species-rich waters off the Sunnmøre coast, join the winter fishery in Borgundfjord near Ålesund, or visit one of the many rivers in the area. If you have ever caught the big one, you will know what we mean by fishing luck! RENT A FISHING BOAT WITH A SKIPPER/GUIDE There are several companies in the area that offer organised fjord and ocean fishing trips on demand. You will be joined by a skipper and guide who knows where the fish bites, and who probably can be persuaded to tell you a tall tale or two. In the late winter, the Borgundfjord fishery is an unmissable experience. Just outside Ålesund town centre, you can catch big codfish that are migrating to spawn. There are several places you can bring your catch where a professional chef will help you cook the best fish dish of your life. FISHERMAN’S SHACKS BY THE COAST AND CABINS BY THE FJORD Sunnmøre offers several alternatives for fishing fanatics who would love to spend more time here. Wellequipped cabins and fisherman’s shacks (rorbu) are located just by the water’s edge, with great ocean or fjord fishing just outside the door, so everything you need for a successful fishing holiday is provided for. You can also rent a boat, and some places are furnished with gutting benches, freezers and life vests, as well as tourist hosts who can advise you about the best fishing spots. Try your fishing luck! You don’t need to be in a boat to go fishing. Sunnmøre has many nice areas for rod fishing. Contact the Tourist Information in Ålesund for tip and rental. Worth noting: Remember lifejacket. Max 10 people, but fishing recommended for groups less than 6-7 persons. 3 people fishing simultaneously. Combine fishing and sightseeing on board our cabin cruiser with a comfortable heated cabin. The destinations will be recommended by the crew and adapted to your wishes. Ulsteinvik is beautifully situated by the sea, surrounded by islands, islets and an idyllic archipelago. Coast Safari can organize sightseeing, a fishing trip in fresh sea air or a fast-paced ride with rib. Or maybe you want to rent one of their small boats and explore the area on your own? The experience awaits you! Boat trip to the Geirangerfjord with a visit to Geiranger city center. Experience the beautiful fjords and the majestic mountains.Feel the magic. An exciting tour into the fjords with time to explore the cultural heritage of Geiranger. Time for shopping, a meal or a visit to the octagonal church. The tour takes 5 hours and has to be prebooked. BIRD LIFE AND BIRD MOUNTAIN Spot seabirds, sea eagles and seals on stimulating sea safaris. Become familiar with the bird life at Runde on one of the sightseeing tours on the island in summer. You will find yourself in the middle of nature, in the middle of an adventure, and if you bring a pair of binoculars, you will get even closer to it. THE BIRD ISLAND RUNDE The bird island Runde lies far out to sea. The island boasts Norway's southernmost bird mountain, and is also the most species-rich seabird region in Scandinavia as more than 200 different species have been observed here. Roughly 100,000 puffins nest here, but birds like northern gannets and great skuas (bonxies) have large, established populations here during the nesting season. Above it all, sea eagles float with their impressive wingspan that can exceed 2.5 metres. The peak season is between April and August, and you can see the greatest number of birds in the afternoons and evenings. Runde is also known as ‘treasure island’ due to the gold that was discovered on the wreck site of the Dutch trading ship Akerendam, which ran ashore here in 1725. Please remember that Runde has protected nature areas with specific rules of access. RUNDE ENVIRONMENTAL CENTRE Runde Environmental Centre is an international research station used by scientist and research institutes from Norway and abroad. The centre aims to create awarness about the ocean regions off the coast of Sunnmøre that are known as the reianforrest of the sea. In addition, the centre also features an exhibition about the birds nesting at the island and the Runde treasure. Runde is a spectacular location for courses, seminars and conferences and the Centre offer modern conference facilities and apartments for rent the whole year. Join a 2 hour boat- and sightseeing trip from the harbor of Runde (a car drive of approx. 2 hours from Ålesund) to the bird cliffs. A unique chance to see the popular puffin and the magnificent coastal landscape from the sea. Worth noting: Weather dependant. We take you on one of the finest boat trips, lighthouse visit! First we arrive in beautiful Ona with its majestic and red lighthouse. After a stroll around Ona a light lunch is served before continuing. Next stop is Flatflesa Lighthouse, one of the finest lighthouses in Norway! If one is lucky we see seals, killer whales as well as eagles. The trip takes 3.5 hours total. CLOSE TO NATURE AT SEA OR ON SHORE Get ready for a few hours of relaxing kayaking, or opt for a longer trip and spend the night in a tent or lavvu on a small island. Get an adrenalin surge behind the handlebars, or enjoy family-friendly bicycle trips. There is so much to explore, both on land and at sea. CYCLE FROM ISLAND TO ISLAND You can bring your bicycle on the many express boats that connect Ålesund and the mainland with the outer islands. Here you will discover several cycle paths with very little traffic. The islands in the municipality of Giske have flat terrains and are also great for cycling trips. You can reach them by boat, or by car or bus through subsea tunnels. (Timetables are available at www.frammr.no). HIKING WITH GUIDE The mountains in the north-western part of Norway are very similar to the European alps, with tall peaks, glaciers and lots of snow. This is the ideal starting point for hikes and glacier walks in the summer, and peak skiing from mountain to fjord in the winter. When you are hiking in demanding terrain, it is wise to team up with locals who are familiar with the area and can judge the weather and conditions. Several companies also provide packages that include guides, boat trips, skiing trips, food and accommodation. More information can be found on pages 74-84. DIVING The coast of Sunnmøre is well-known for offering great diving experiences all year round. The clear water is perfect for current diving in Skodje­ straumen and wreck diving by Runde and in the fjords. If you visit the lake Lygnstøylsvatnet in Norangsdalen, you can float above bridges and between stone borders and house walls – underwater. This is now a unique diving spot in Norway. Please remember that the ruins and animal life in Lygnstøylsvatnet are very vulnerable, so take care not to disturb it. Hjørundfjord Adventures provide vari­ous activities like fishing and cultural guiding at the Hjørundfjord and Sunnmøre Alps area. Worth noting: Prices and time on request. Accommodation at Hjørundfjord Vandrerhjem Bjørke, see p. 75. At Kragset Hamn you can stay in a sea front chalet by the harbour and hire a boat, bicycle or kayak. Worth noting: Prices and time on request. See also p. 76. Valldal Naturopplevingar offer outdoor adventures int the most breathtaking sceneries you can imagine. With more than 20 years experience, we guide our guest to spectacular adventures such as canyoning, rafting, sea kayaking, hiking, climbing, snow shoeing and ski touring. 18-hole golf course located in beautiful natural surroundings approx 30 km from Ålesund. Club house with premises for hire, golf cafe, Driving Range and Proshop. The perfect trip for the inexperienced kayaker or those who wants a nice and different introduction to the Art Nouveau town of Ålesund. Stories about the area, why Ålesund is built in the Jugend style and more. During this trip we take several photo-stops where your able to get some great photos. Ålesund +47 40 55 46 70 www.uteguiden.com FIXED DEPARTURE TIMES 15.04.-31.10. We offer 4 different guided kayak tours on the beautiful Geirangerfjord. We start at Geiranger Kayak base at Homlong and take you past Homlong bay and towards the view of the "Seven sister waterfall", farms and the beautiful scenery of the fjord. Our guides will take good care of you and tell you all interesting facts about the Geirangerfjord and the surroundings. Also rental. SUNNMØRE IS A PLAYGROUND Ålesund & Sunnmøre is an exciting holiday destination for everyone – including families. Many people come here to play and explore together, and there is no shortage of activities! Ålesund is home to Atlanterhavsparken, one of the largest aquariums in Northern Europe, which has won the title for best aquarium in the Nordic countries. Here you can explore the mysteries beneath the surface. The large pools reveal what life looks like in the ocean and fjords, and by the smaller pools, you can touch prickly sea urchins and doughy sea cucumbers, fish for crab and feed the fish. The largest tank contains a diver who feeds the cod and catfish while giving them a pat on the cheek. Outside, Ålesund’s harbour seals are having fun in Europe’s largest facility for seals. Their next-door neighbours are the penguins – who naturally have their dinner served by a person wearing white tie and tails. What about letting the children meet the cute animals at Hakallegarden or Blakstad Gard petting farms? Go horse riding or drive a tractor, cuddle a kitten and meet animals such as pigs, geese, donkeys, rabbits, peacocks and alpacas. At the bird mountain Runde, the puffins come in from the ocean in flocks and settle just a few metres away from you as the sun sinks towards the horizon. At Runde, you can also discover cannons and gold coins, and learn the thrilling story about the Runde treasure at the Runde Environmental Centre. The steep mountainsides at Sunnmøre are great for hydropower production, but they are also dangerous neighbours. A power station in Tafjord has established a power and landslide centre. Here, the children can set up their own slides with rocks and clay, and learn about landslides past and future. They can also research rock types and energy in the science corner, and there is even a 20-metre long pipe to slide down. There is nothing quite like testing your limits in fun outdoor and indoor playgrounds. In Valldal, you can experience an exhilarating activity park with a total of 800 metres of climbing routes up in canopy. The routes have different levels of difficulty and are suitable for children and adults of all ages. If you visit Ålesund, you can keep playing. Barnas Lekeland is a unique and popular indoor activity centre and amusement park featuring some of Norway's largest playground constructions. If you want your holiday to be an exciting trip for the whole family, there are many good reasons to make Ålesund & Sunnmøre your destination. IF THE CHILDREN GOT TO DECIDE Have fun handling animals at the petting farm, taking on challenging climbing walls or absorbing themselves in fascinating cultural history. Nature is one big amusement park – limited only by the imagination. Open-air museum with cultural history exhibitions and a vast collection of old buildings and boats, beautifully situated in the old Borgund­ kaupangen. The Medieval Age Museum on the site is also worth visiting. Worth noting: Activities for young and old. Café & souvenir shop. 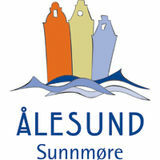 All-in-one ticket for Aalesunds Museum and The Fisheries Museum available. 01.06.-31.08. Søn/Sun/So-Fre/Fri/Fr 10-18. Laur/Sat/Sa 10-16. 01.09.-01.05. Mån/Mon/Mo-Laur/Sat/ Sa 11-16. Søn/Sun/So 11-18. Open visitor farm and unique alpaca farm, with café serving homemade food and an art gallery in a converted barn. Farm shop sells garments made from alpaca wool, and other items from ethnic suppliers. Worth noting: Children 0-2 years free. Groups requested to book in advance. The farm where the famous Norwegian linguist Ivar Aasen was born and raised, includes the Ivar Aasen Centre. The museum, is also a natio­nal document and study centre for Norwegian Nynorsk. Worth noting: Guided tours every hour during the summer. Valldal Aktivitetspark is an exciting climbing park in Valldal, with over 1400 meters of treeand-post climbing courses. The courses are divided into four different difficulty levels, and are suitable for all ages. In July you’ll also find the Trolls from Trollstad having safe and fun activities for small children. Join in on an exciting journey along the streets of Ålesund. The train takes you on a guided tour in the art nouveau town and gives you facts and stories before it has a break at the viewpoint Aksla for everyone to enjoy the picturesque town from above. The tour takes about 1 hrs and 15 minutes. In the town park in Ålesund, children can frolic in the sand and romp around the playgrounds. You can also let them count the steps all the way up to Fjellstua (there are 418 of them). The view from the top is fantastic! Worth noting: Open All year. Restaurant and Cafe at the viewpoint. Indoor pool complex with several pools of different sizes and water­slides for fun and enjoyment. The complex is situated near Moa shopping centre with exciting offers for young and old alike. Experience some of Norway’s biggest constructions made for children to play in and enjoy Atlanterhavsparken/Ålesund Aquarium – and the spectacular diving show. Accommodation at Scandic Parken Hotel .Fam. Price 2 a. / 2 c., incl. entrance to attractions. Extra for additional bed. Bring the family and meet “Marit’s animals”, famous from the TV-series “Marit og dyra” at Hakallegarden. Hakallegarden is 1 hour drive from Thon Hotel Fosnavåg and is the perfect family trip! In walking distance from the hotel you can enjoy the brand new Sunn­mørsbadet. Join us for a calm and easy kayak tour at the beautiful Norddalsfjord. You will experience spectacular nature and both young and "old" will feel sense of achievement. Our stable double kayaks, together with an expert guide ensures a memorable experience. Maybe we meet porpoises and eagles as well? You have never seen an aquapark like this. All is new and offers a fantastic view of the open ocean. Combine a visit to Finnøy with an overnight stay at Finnøy Havstuer and go for a swim in the aquapark. Not to forget: Water slide with timetaking. Experience the best of Tafjord with the family ticket for both Tafjord Friliuftsbad and Power & Avalanche center. Tafjord friluftslivsbad is an outdoor pool that is heated between 27-31 degrees. Power and avalanche center is an interactive experience center - experiment, exhibitions, films, playground, activities and climbing. Try it out! Blimsanden at Vigra, T9 Giske, T10 Emblemssanden, U10 Tueneset, H7 Volsdalsberga, J7 Osnessanden, S11 Sandviksanden, Q12 Overåsanden, T11 to name a few. WINTER WONDERLAND, SKI RESORTS AND CROSS-COUNTRY SKIING In winter, families can have a great time at family-friendly ski resorts. You can either go alpine skiing or cross-country skiing on specially prepared trails. For more info, see skiing & winter p. 64.
joint ski lift card: the Alpepass. This provides you with the flexibility to choose the skiing that suits you perfectly. Local guides will take you to unfamiliar mountain areas where a boat may be the best or only means of getting there. Over the past few years, Ski & Sail in Hjørundfjorden and the Sunnmøre Alps have steadily become more popular. Travel on the fjord from place to place and reach a new mountain summit every day! If the weather and skiing conditions are not completely optimal one day, or if you are looking for other things to do, you have several alternatives. Join in the Borgundfjord fishing for winter cod, explore the birdlife or encourage your adrenaline by surfing on awesome waves. NORWAY'S BEST SKI RESORTS Sunnmøre is a good starting point for memorable skiing adventures. A ski bus will take you efficiently from Ålesund to the largest skiing centre in the region, the Stranda Ski centre, which has also been proclaimed the best ski resort for off-piste skiers. Three mountain restaurants and a cable car are some of the things you can enjoy. The skiing centre has a unique location. Have a try at Alperittet: ski the path of the race from the top of Roaldshorn, at 1230 m above sea level, and straight down to Stranda Ski centre by the fjord. Loose snow and views of the fjord are some of its characteristics. Local guides will take you to some of their less well-known, favourite places to ski, and afterwards a powder cab or a friendly resident may take you back to the skiing centre. The ski centre is located 45 minutes from Ålesund and has 3 ski lifts and the 5 varied runs are very suitable for novices and families. It is also a very good jumping off point for ski touring routes and prepared cross-country tracks in beautiful natural surroundings. The ski centre is located in the heart of the Sunnmøre Alps, just 10 minutes from Ørsta town centre, and has 4 lifts and 8 runs. It is encircled by beautiful mountain scenery, which invites you out into excellent free-skiing areas. Also a good starting point for summit tours in the winter and spring. The region’s largest ski resort with 7 ski lifts and many slopes. Two mountain restaurants and gondola. The ski resort has a unique location and has several times been voted “Norway’s best ski resort” for off-piste skiing. A true powder paradise. SUMMIT TOURS WITH FJORD VIEWS Local outdoor guides keeps you safe while you enjoy the majestic Sunnmøre Alps. The nature may be challenging, but a qualified guide makes sure to put together the perfect trip in order for your dreams to come true. Snowshoeing around Valldalen and the UNESCO fjords. The Sunnmøre Alps have jagged peaks and steep mountain sides that dive straight down to the fjord. This is the starting point for one of the most exceptional skiing experiences you could ever have. A boat on the fjord will ferry you between the best sites. The views of white, steep mountain sides, pale blue glacier arms, dark blue fjords will remain with you forever. The Sunnmøre Alps with powder snow and countless mountain sides for off-piste skiing offer a holiday you will never forget. The alpine mountain and fjord landscape is often mentioned in well-known skiing magazines as the undiscovered treasure of the skiing world for those looking for the absolutely spectacular. Powder snow on mountainside after mountainside between high peaks and narrow fjords provide a fantastic framework around a skiing adventure. Over the past few years, an ever-increasing number of people have discovered Ski & Sail in Hjørundfjorden and the Sunnmøre Alps. A new mountain top awaits every day and the trip between the mountains is made by boat on the fjord. If the weather and skiing conditions are one day not as you wish, or if you want to experience something else as well; there are lots of other things to do. Fish for big cod during the Borgundfjord fishing season, explore the birdlife or surf on booming waves rolling in straight from the Atlantic Ocean. An incredible week of ski touring in the Sunn­ møre Alps, combined with stunning nature and one of the most special hotels in the area, Hotel Union Øye. Worth noting: Prices includes accommodation, breakfast, lunch to go and dinner. Stay comfortable on board the restored fjord ferry MS Slogen and experience the Hjørundfjord. We facilitate both spectacular and peaceful trips, with experienced guides. Delicious local food and transport in the fjord are included. The boat is spacious and with good facilities for washing and drying clothes and shoes. The tour starts and ends in Ålesund. WINTER WITHOUT SKI How about exploring the Norwegian winter without skis? It is definitely possible. The alternatives are many whether you prefer hiking along the coast, shopping, enjoying the local food traditions and much more. There are plenty of museums in the cities but also in the suburbs. Exciting outdoor museums, concerts, theater and other cultural experiences. WINTER Devoldfabrikken is a nice place which includes it all. A textile museum, outlets in the old factory of Devold and nice alternatives for a great lunch. A trip to Langevåg and the Devoldfabrikken is also nice to combine with a hike at Sulafjellet. The coastal area in our region is normally a very good option for hiking all winter. It is also a good time for fishing. The fjords and the coastal waters offers exciting catches in all variations. One can fish from the hotel room, dock or book a tour with a boat. The local fisheries “Borgundfjord fisket” is known in the whole of Norway and also further abroad. This round trip starts from Ålesund and goes via Sykkylven to Stranda. The tour continues with the ferry crossing Storfjord to Liabygda. From Liabygda the return goes back via Stordal and Sjøholt to Ålesund. Through mindfulness, yoga and sauna, Merete will welcome you to join different activities all year. Surrounded by beautiful nature, you will be given the tools you need for your personal process and development. Accommodation also available. Experience an amazing winter landscape with high mountains and deep fjords. The area around Valldal and the forgotten UNESCO fjord Tafjord is a winter paradise. Untouched snow, old mountain farms and stunning viewpoints. Worth noting: Bring warm winter clothing, winter boots, small backpack with energy, water and camera. Assorted selection of charts, Ålesund office- and computer equipment. Bookshop with a wide range of books and literature. Art and antiques from local and international artists. Souvenirs, sports and work clothing. Gift articles, handicrafts and souvenirs of high quality. Local food, drinks and other products. Paintings, ceramics, arts and Ålesund equipment for painting and hobby. Espresso bar, gallery and anti­ ques in a sea house from 1895. Outletshop known brands like Sula Devold, Moods of Norway, Bergans. Workshop and exhibition of Sykkylven furniture art, among others from Peter Opsvik. Large and small second hand items, as well as café. Local food, lemonade and berries. Photo gear and camera equipement. Good selection of self-manufactured goods, with great design and high quality. Homemade chocolate with inspi- Ålesund ration from the region. Chocolate making courses available. ÅLESUND & SUNNMØRE The area is easy to get to by air, sea and land. Ålesund is the regional traffic hub with excellent connections to the whole fjord- and coastal region. The area also has many hire companies for all kinds of transport. TAXI Ålesund Taxi AS, L7, Lerstadv. 312, 6014 Ålesund +47 70 10 30 00, www.alesund-taxi.no Operates a taxi service in Ålesund, Sula og Giske. 07012 Ring Taxi AS, J7, Sjømannsv. 9, 6008 Ålesund, +47 07012, www.07012.no. Taxi- and sightseeingservice in Ålesund, Sula and Giske. NATIONAL TRAVEL PLANNER For travels across Norway the national travel planner www.en-tur.no is a useful tool. MS Bruvik, G6, Ålesund + 47 47 47 76 71, www.cruise-service.no Aalesund Sea Tours AS, T10, Ålesund M/B Fento, +47 92 41 24 12, www.aalesundseatours.no CAR HIRE Avis Bilutleie, A6, Ålesund / T9, Ålesund Lufthavn Vigra +47 70 13 24 00/ +47 70 18 34 60,www.avis.no Sydsiden Bilutleie, J7, Ålesund / T9, Ålesund Lufthavn Vigra, +47 70 11 39 99 / +47 70 18 23 00, www.sydbil.no Sixt Bilutleie, T9, Ålesund Lufthavn Vigra, +47 92 29 05 50, www.sixt.no Hertz Bilutleie, Lerstadvn. 517, M7, 6018 Ålesund, +47 70 15 80 10, c/o Geiranger Fjordservice AS, Y13, 6216 Geiranger, +47 70 26 30 07, Ålesund Lufthavn Vigra, T9, 6040 Vigra, +47 70 18 36 50, www.hertz.no TRANSPORTATION SERVICE AND HIRE Turistbussen Ålesund, U10, Ålesund, +47 70 14 33 16 / +47 91 15 68 88 www.turistbussen.no Fully equipped, high standard coaches (incl. mini-buses). Assistance with transport, accommodation and sightseeing. Ålesund Turvogn Service, H2, Ålesund +47 92 22 42 92, www.turvogna.no Rental of maxi-taxi and buses of different sizes, in addition to shuttle bus service from hotels in Ålesund and the airport on Vigra. Ingers Trans, X11, Stranda +47 40 45 13 33, www.ingerstrans.no Turbilane, U11, Langevåg + 47 90 90 80 90, www.turbilane.no Trips of Norway, H5, Ålesund +47 91 90 36 53, www.tripsofnorway.no Let us take you on spectacular experiences between fjords and mountains! Customized tours for the entire family. We make the transportation between destinations to a unique experience. Trips Of Norway offer different solutions, with or without a driver – from economy to VIP. We also offer fully equipped caravans all year. Fjord Exploration, X11, Stordal +47 93 07 37 87 Fjord Exploration put together accommodation, transport, and experiences in tailored tours for tourists. Book packages for two, three or seven days, and go. PRACTICAL INFORMATION LUGGAGE LOCKERS In the Mix Kiosk at Skateflukaia, G2, and in the Mix Kiosk at the Central Bus Station / Rutebilstasjonen, F6. SKI RENTAL Ski Touring equipment: (Complete package) 500kr/day Cross country equipment: (complete package) 400kr/day Uteguiden, Ålesund, U10 / Stranda, X11, + 47 40 55 46 70 www.rental.uteguiden.com FREE WIFI Tourist Information Office, G3, Ålesund. You will find FREE WIFI at the Turistinformation during opening hours. Ålesund Library, G5, Rådhuset, Ålesund. AUTOPASS AND TOLL STATIONS Payment must be made within three working days after passing a toll station with manual payment, either in toll or service stations. At automatic toll station, an invoice will be sent automatically, also abroad. www.autopass.no LIBRARIES All municipalities have a public library, many with Internet access. GUEST MARINAS Ålesund, C/D4, +47 70 16 34 00 / +47 95 88 34 00 www.alesund.havn.no. Guest marina with room for 60 boats, WC, shower and washing facilities. Payment done with the app Gomarina, or by contacting the harbour at +47 95 88 34 00. 24-hour service VHF channel 12. Sunnmøre There are guest marinas with good facilities throughout Sunnmøre. Contact the Tourist Information Office in Ålesund or www.visitalesund.com for more information. EMERGENCY NUMBERS Emergency numbers are free to call, also from payphones. Fire 110 / Police 112 / Ambulance 113 DOCTORS Visitors who become ill or require medical assistance can call the local accident and emergency service, which is manned 24 hours a day. In medical emergencies, always call 113. PARKING Ålesund Parkering, G4, Ålesund +47 70 16 21 28, www.alesundparkering.no Ålesund: Parking charge in the town centre from NOK 20 per hour. Pay at ticket machines. Saturdays free at Hjelsethgården, Nedre utstillingsplass, Torghallen p-hus and Kremmergården p-hus. MULTI-STOREY CAR PARKS IN ÅLESUND TOWN CENTRE Kremmergaarden, F5, Mon-Fri 07-20, Sat0 8-18. Parken Parkering, I3, open 24 hours Brunholmen, E3/4, open 24 hours Kipervika Parkeringshus, I/J5, Mon-Fri 07-22, Sat 07-20. Torghallen, D6, Daily 07-23.30. Aksla Parkering, K4, open 24 hours PARKING FOR CAMPER VANS/MOBILE HOMES Hjelsetgården Bobilparkering, H1, Ålesund +47 70 16 21 28, www.alesundparkering.no Car park for camper vans/mobile homes close to the town centre. Waste emptying station and sanitary facilities. Open 01.05.-30.09, NOK 250 per day. ATM Standard credit cards are accepted in most places. Cash Machines (ATMs) are widespread. VINMONOPOL / WINESTORE Wine and liqour stores are to be found in following towns/ villages: See www.vinmonopolet.no opening hours. Ålesund - town centre, F5 Ålesund - Moa, U10 Brattvåg, U9 Fosnavåg, Q11 Langevåg, T10 Stranda, X12 Sykkylven, V11 Ulsteinvik, R11 Vanylven, Q13 Volda, S13 Ørsta, T12 TRAVEL AGENTS Berg-Hansen Nordvest AS, I4 Ålesund +47 70 11 10 00, www.berg-hansen.no G Travel Ålesund, F4, Ålesund +47 70 10 01 80, www.gtravel.no TELEPHONE For international calls 00 + country number. To Ålesund & Sunnmøre from abroad: +47 + number. TIMETABLES, ROAD AND TRAFFIC CONDITIONS Information about roads throughout Norway: Call 175 from Norway, +47 23 23 78 63 from abroad. Timetable information for buses, ferries, express boats and airport buses for Møre & Romsdal county: Call 177 when in the county or +47 71 58 78 00 if you are outside the county, www.frammr.no or www.en-tur.no. Those who have been here before always return – because it is one of the most unique shopping areas in Norway. The buildings’ original façades do not reflect the interior of the buildings, which are both modern and minimalistic. UNT IN OUR OUTLET SHOPS! The outlet shops at Devoldfabrikken are Devold, Bergans, Norrøna, Helly Hansen, Le Creuset, Swims, Porsgrund, Phister & Philina, Racoon, Kappa, SWIX and Sport´n. You will also find Prinsessa og Frosken, Binderiet, By Sunde, the Liquor Store and Kantina café. The outlet shops at Devoldfabrikken always have great discounts of 30 – 70% for known brands! Devoldfabrikken in Langevaag is situated just a 15 minute drive from MOA, and only an 7 minute boat ride from Aalesund centre. Welcome! NATIONAL CENTRE OF ART NOUVEAU / CONTEMPORARY ART MUSEUM Jugendstilsenteret is located in the old Swan Pharmacy from 1907 and is both a museum and a national centre of Art Nouveau. Jugendstilsenteret offers insight into The Art Nouveau style by means of authentic interiors and objects as well as temporary exhibitions. Our Time Machine takes you back to the town fire in 1904, and the rebuilding of the city. KUBE is located in the former branch office building of Norges Bank (1906) in central Ålesund. Through a diverse programme of exhibitions and public activities, the museum aims to promote interest in and knowledge of visual arts, applied art, design and architecture. Visit our webpages for more information about the KUBE program. The Rauma railway The most beautiful train journey in Norway The line between Åndalsnes and Dombås offers passengers an opportunity to experience close-up one of Norway’s most spectacular natural regions. Highlights include the famous Trollveggen rock face and Kylling Bridge. You can start your journey at Åndalsnes, Bjorli or Dombås. At Dombås, there are connections with trains to and from Oslo and Trondheim. See our presentation video at nsb.no/RaumaRailway. Book your ticket at nsb.no or by calling +47 815 00 888. Easy-access indoor and outdoor car parks Within short walking distance of all amenities in Ålesund town centre Distinctive camper van site with seaside loaction Camper van site les than 5 minutes walk from the centre Unique opportunities with town-centre parking. Do you want a summer with adventure? History? Culture? Activities for adults and children? Then visit us. Welcome! TRAVEL LIKE THE LOCALS AND EXPERIENCE MORE! The beautiful Alnes Lighthouse from 1876 is protected, and considered a relic of Norwegian coastal culture. In connection to the lighthouse there is also a modern art gallery with a cafè that serves traditionally homade norwegian food and local souvenirs. Only 20 minutes by car from Ålesund. Unique exhibition of watercolours and drawings by the well-known artist, Ørnulf Opdahl in the lighthouse tower. Are you visiting Ålesund and need medical attention? Find more information about our services or book an appointment at medi3.no or call 70 11 70 00. Buffet alle dager - Selskapslokale - kafe. Plass til 100 gjester. Uteservering i flotte omgivelser i sentrum av Valldal. The most interesting trips are trips where you are in close contact with the communities you visit. One way of achieving this is to use public transport. We have packaged the most popular itineraries in the area and made it easy for you to book the trip.